This song rocks I can't What to git the CD. Evenescens you guys rock your the best. What can I say about this one. First of all, Amy is an inspiration. It's funny how much this song hits home. I've been battling my past and recently lost the love of my best friend. This song says it all...it's over and I burned paradise. However, my favorite song of all is Anywhere even though it is old school. I am traveling about 5 hours to see these guys in DC on the 11th. I am so excited. I've been a fan since 98...keep on rockin guys. Awesome the Gothic Goddess does it again. i think that "call me when you're sober" is there best song ever in there life time they have been a band for at least 7 years i have 4 of there cd's and i think the new cd that is coming out will be a biggest hit. What happened to the wonderful Evanescence? ?Noone asks this question??? 'Call Me When Your Sober' is awful, it's like a pop song, the instruments are very poor and I don't feel any complexity in the song...I don't know what went wrong in the band but they've lost their original sound....the only thing that gives quality to that music is Amy's voice. 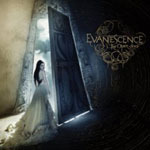 I used to be a big fan of Evanescence but they've dissapointed me.... Does anyone feel the way I do? I absolutely love this song for its depth. even though someone may never fully understand every complication that has ever arose, it just gives my a really good sense of where i am. i love it. i don't nessisarily have any favorite songs, but i can tell you this much i listen to it hundreds of times a day, and even start singing it in class. i love amy lee, and evanescence. they are absolutely amazing, and i cant wait for the concert at the paramount in denver!!!!!!! I think this is a great song. I love it completely!!!! Rock on!! !